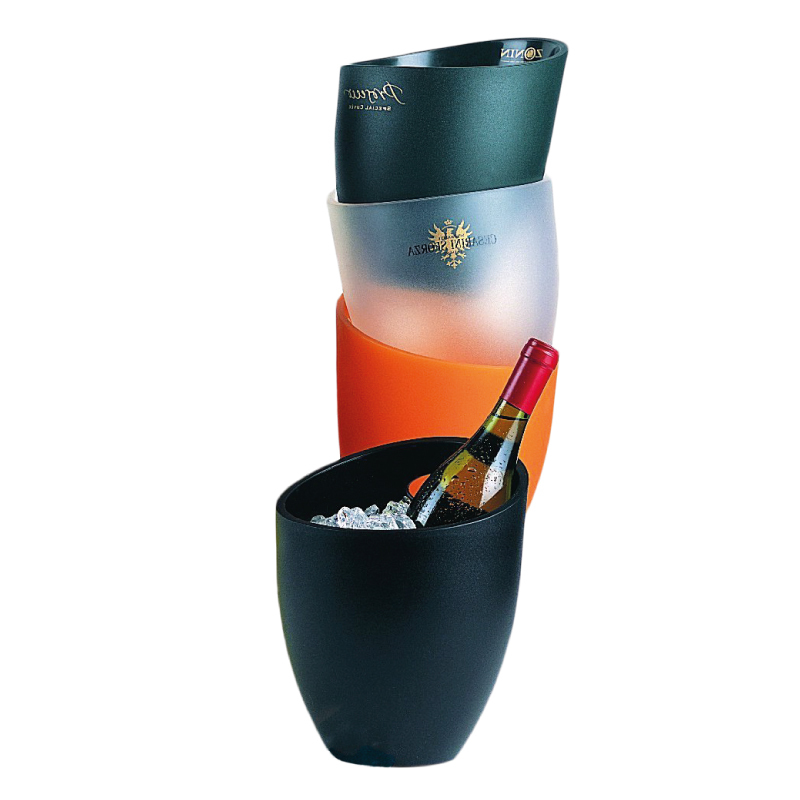 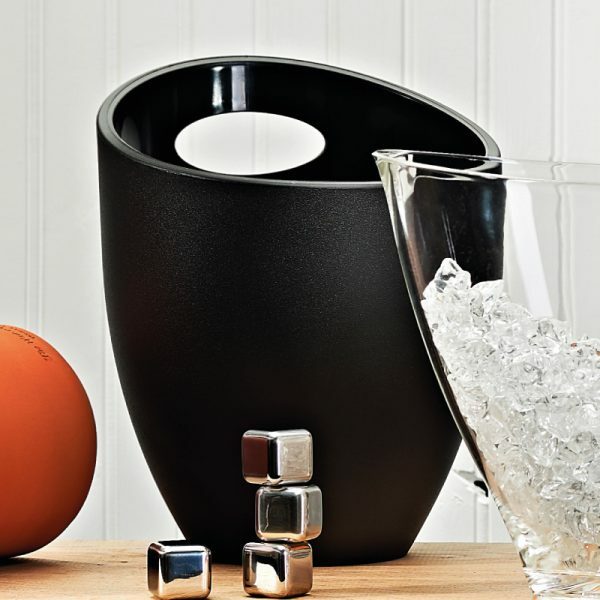 Sleek Igloo Ice Bucket design in modern, hard-wearing, thermo-plastic. 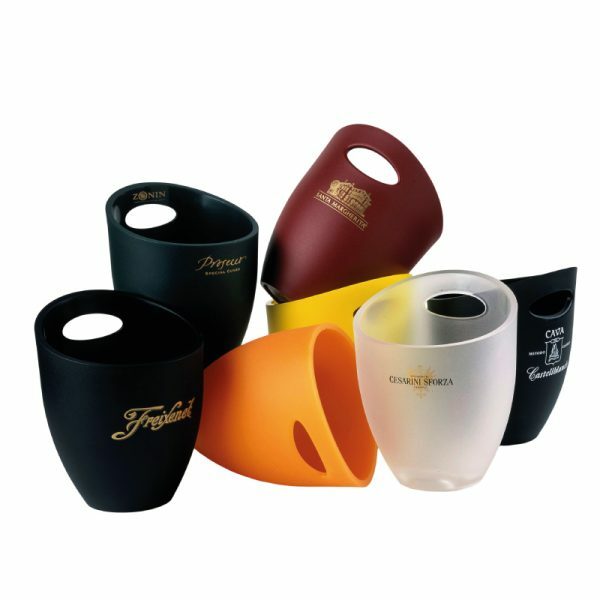 One-piece moulding in a scratch resistant material, whose temperature conductivity is lower than metal, so preserving your bottle’s cool for longer. 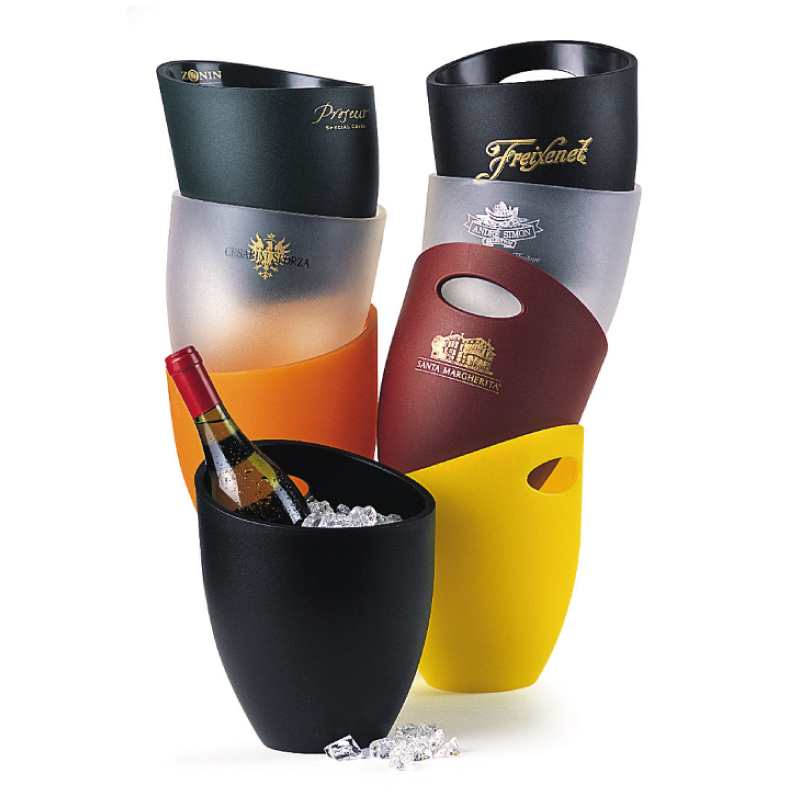 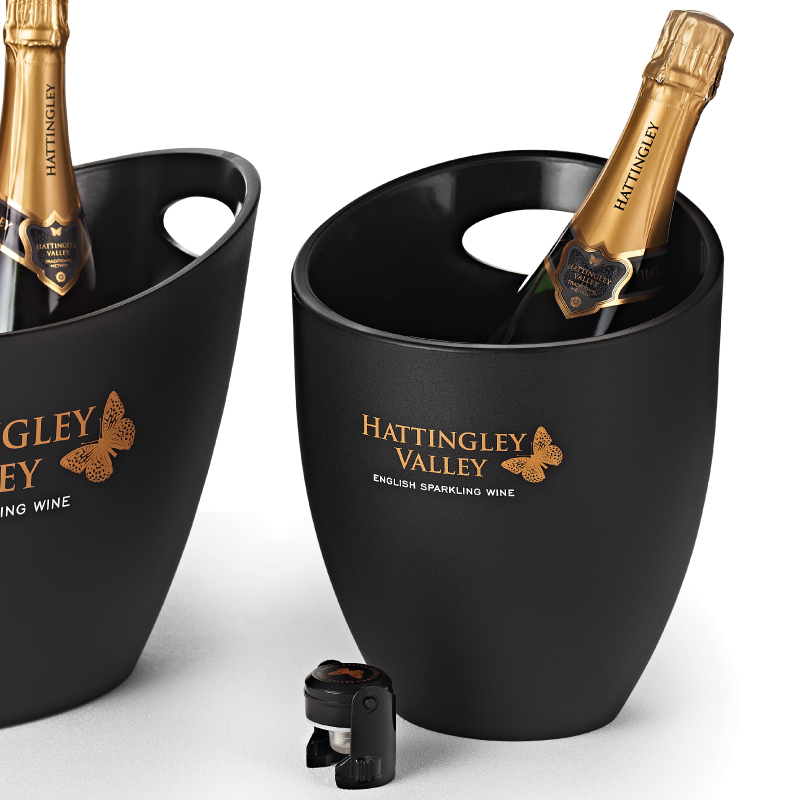 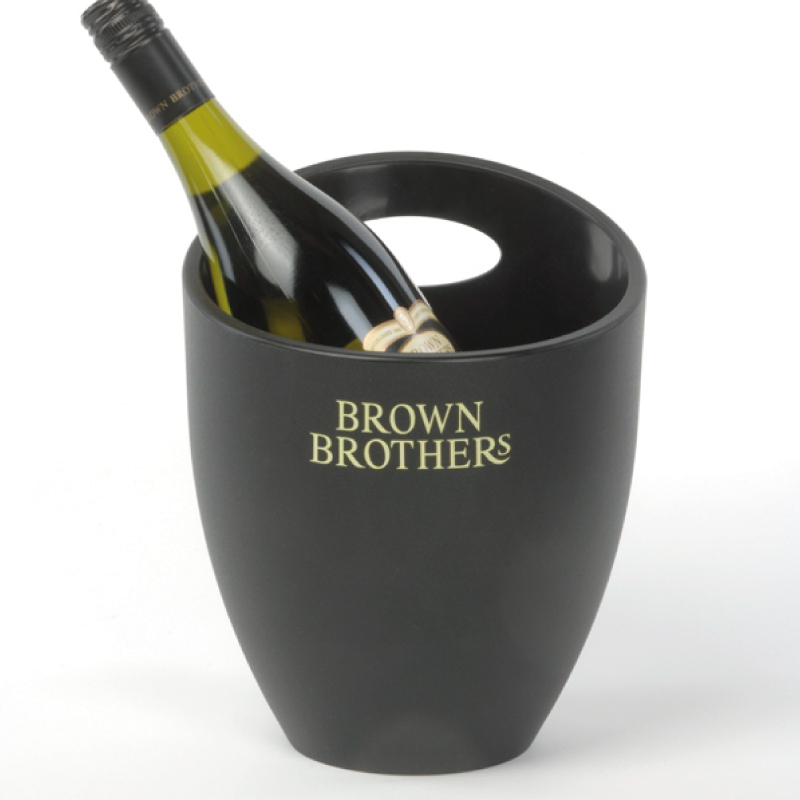 Features finger grip and internal dimple so bottle presents at an angle against ice bucket wall. Custom colour moulding from 1000 pcs.